Hugh MacBeth, Sr., an African American attorney active in Los Angeles, California in the early 20th Century, was born in Charleston, South Carolina in 1884 as Hugh Ellwood MacBeth. His father, Arthur MacBeth, was a pioneering African American photographer. Hugh MacBeth attended the Avery Institute in Charleston and graduated from Fisk University in Nashville, Tennessee in 1905. Three years later he earned a law degree from Harvard University. MacBeth lived in Baltimore for five years where he was founding editor of the newspaper The Baltimore Times. In 1913, however, MacBeth moved to Los Angeles, California. MacBeth soon became an important player on the Los Angeles legal and political scene. In 1914 he was appointed as special counsel to the Los Angeles district attorney’s office. He also joined the Los Angeles Forum, a local African American civil rights group. The following year MacBeth began a decade-long effort, ultimately unsuccessful, to establish an African American agricultural colony in Baja California, which he would call Little Liberia. Although MacBeth was a major promoter of the Little Liberia colony, his legal work in Los Angeles remained a priority. MacBeth’s law firm concentrated on aiding African American litigants and criminal defendants, and represented such notable clients as Jazz great Jelly Roll Morton. MacBeth pressed numerous cases challenging segregation laws and restrictive housing covenants. In 1940, he persuaded the American Legion to cease excluding black boxers from fight cards at Hollywood Legion Stadium. MacBeth’s firm, however, had many white clients (including John Hunt, a white disciple of the religious Father Divine movement). In 1934 MacBeth was named general counsel for the Utopian Society, a largely-white economic reform group that claimed 600,000 members. 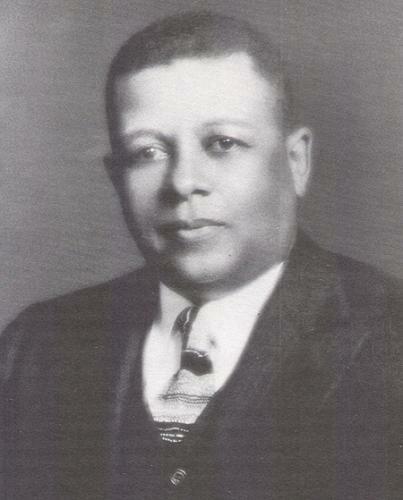 His broad connections led to his being named resident consul for the Republic of Liberia in 1936.Two years later, when Governor Frank Merriam created the state Race Relations Commission, MacBeth, who had drafted the law establishing the commission, was named Executive Secretary and sole black Commissioner. In the 1940s MacBeth founded a human rights organization, the United Races of America. After Pearl Harbor, he traveled to Washington, D.C., hoping to persuade the federal government to make racial discrimination a military offence punishable as treason. He then delivered a speech in Chicago, “Justice for All Humanity,” which was published in book form shortly afterwards. Meanwhile, MacBeth became a champion of the incarcerated Japanese. He and American Civil Liberties Union (ACLU) attorney A.L. Wirin defended Ernest and Toki Wakayama who were removed from their California home following the announcement of Executive Order 9066. Because of MacBeth’s unpopular defense of equal rights, he was asked to resign as Liberian consul in 1944. In 1945 MacBeth and Wirin teamed again to represent Fred and Kajiro Oyama, who challenged California’s Alien Land Act. The case ultimately reached the United States Supreme Court as Oyama v. California. The Court’s ruling in January 1948 ended enforcement of the act, furnishing an important legal precedent for later rulings striking down segregation. Hugh MacBeth died in Los Angeles in 1956. Delores Nason McBroome, “Harvests of Gold: African American Boosterism, Agriculture and Investment in Allensworth and Little Liberia,” in Lawrence B. de Graaf, Kevin Mulroy & Quintard Taylor, eds., Seeking El Dorado: African Americans in California (Seattle: University of Washington Press, 2001); Hugh E. MacBeth, Justice For All Humanity…Colored America Answers the Challenge of Pearl S. Buck (Interracial Reference series 1-A, pamphlet, Los Angeles, California, 1942).